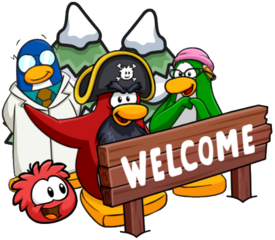 Club Penguin Rewritten has turned two years old! To celebrate, the team have released a new code offering an exclusive shirt as well as 1000 coins. To redeem this code, on the server selection page, click “Unlock Items Online” on the top right, and then “I’ve got a code”. Enter the code ANNIVERSARY2 to receive the shirt, along with the coins! It’s a pretty cool code, and it’s likely going to become an exclusive item, so be sure to redeem it soon! CP Rewritten: Anniversary Sneak Peek – Chocolate Puffle? The Anniversary Party is planned to begin later today on Club Penguin Rewritten! No set time has been given yet, but a new sneak peek has been released. It’s quite a peculiar one, it looks to be some sort of puffle, and possibly even one made out of chocolate. Perhaps it’s a piece of the cake? Also, in case you missed it, an official blog post was released highlighting some of the stats from the last year! You can read the full post here. 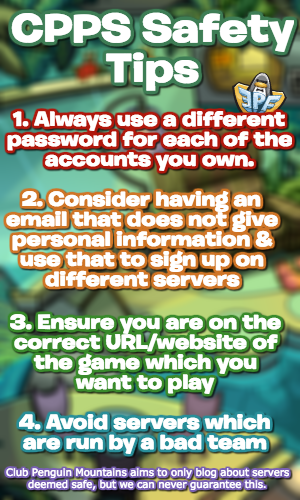 Be sure to check back for more of the latest news and guides, thank you very much for reading! The second Club Penguin Rewritten Anniversary Party begins tomorrow and ends on February 13th, with it offering an exclusive hat! Aunt Arctic will also be visiting for the party, and there’s currently a new login screen in celebration. However, along with this, the team have released a sneak peek of the party too. It looks to be some sort of present, perhaps even part of the annual cake, but that’s something which we’ll find out very soon! Thank you very much for reading, waddle on! A new edition of the Club Penguin Rewritten Times has been revealed, this week hinting at the Anniversary Party which begins tomorrow, along with some other news! For the best experience, I would suggest reading the paper for yourself online, but as always I will summarise the news. A new edition of the Club Penguin Rewritten Times has been released, containing information on upcoming events, including the first mention of the 2nd Anniversary Party which is rapidly approaching! For the best experience, I would recommend reading the paper for yourself online, but as always I will try to summarise the news revealed. Hi everyone, this is just a quick post to let you know that Aunt Arctic is confirmed to visit for the Club Penguin Rewritten 2nd Anniversary Party in February 2019! However, she’s also confirmed not to be visiting for the 13th Anniversary Party (which finishes today). Though there’s not much point in doing so today, you can view the Aunt Arctic tracker here if you wish.